This little fellow is certainly spotted although not with the traditional type of spots we think of in that context. Red maple leaves! My daughter bought this bear for herself at the Build a Bear store in Vancouver. Yes my 43 year old daughter, not my 6 year old granddaughter! 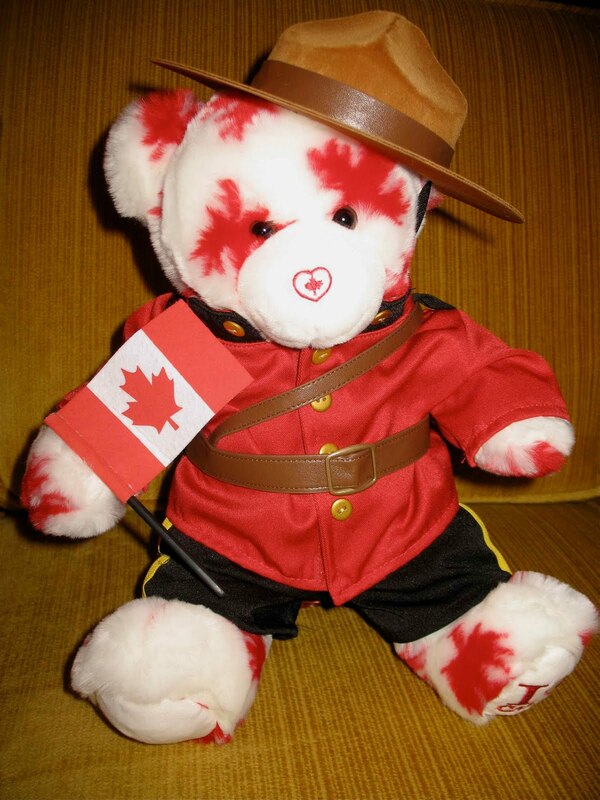 I guess she misses living in Canada and he is rather cute in his Mountie uniform!